The organization also accepted Anthem as its 42nd member. "It has been a privilege to engage the nation's largest healthcare purchasers in a meaningful dialogue with the most progressive health systems, health plans and patient leaders to find ways to improve value, I'm honored to be asked to chair the Task Force as we bring more of these high-value solutions to the American health system," Lansky said in a statement. 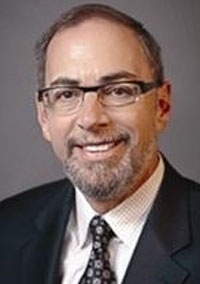 Lansky, previously vice chair of the task force, has helped grow the Pacific Business Group to 60 public and private members that collectively spend $40 billion a year purchasing healthcare services for 10 million Americans. Soistman is credited with expanding Aetna's Medicare, Medicaid and federal employees health benefits program. Kuderik oversees $56 billion in assets at UAW Retiree Medical Benefits Trust, which provides benefits to approximately 700,000 retirees and their dependents. Other members of the task force executive committee include Kevin Klobucar, executive vice president for healthcare value at Blue Cross and Blue Shield of Michigan; Danielle Lloyd, vice president for policy and advocacy at Premier; Debra Ness, president of the National Partnership for Women & Families; and Dr. Angelo Sinopoli, executive vice president and chief clinical officer of the strategic coordinating organization for Greenville (S.C.) Health System. An edited version of this story can also be found in Modern Healthcare's Nov. 6 print edition.